Home Off Beat	Alpha Tattoo – Mathematics love! Clap your eyes on the tattoo pictured above. Can you recall something? Yes, trigonometry lessons! Mathematics was never my favorite subject but trigonometry lessons were indeed interesting. 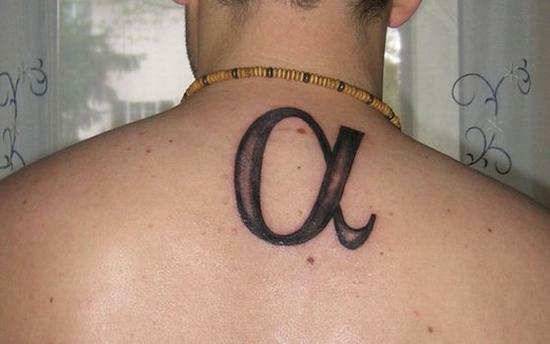 And this alpha tattoo pictured here, made me recall all the formulae. What if someone gets all trigonometry formulae inked? I think it would be a real cool tattoo. When asked about this tattoo – Hyneck said: The meaning is very private. Whatever be the meaning but the tattoo is cool. ← Impossible is nothing tattoo-Nothing is impossible for a willing heart!